Our organisation aims to create a free Clothes Bank for those in financial hardship in one of Glasgow's historic empty commercial properties, bringing it back into community use for a vital purpose. In the UK every year, we spend a staggering £44 billion on clothing, that's £4000 per household spent on clothes. But 30% of our clothes haven't been worn in the last year and £140 million worth of clothing ends up landfill, every single year. 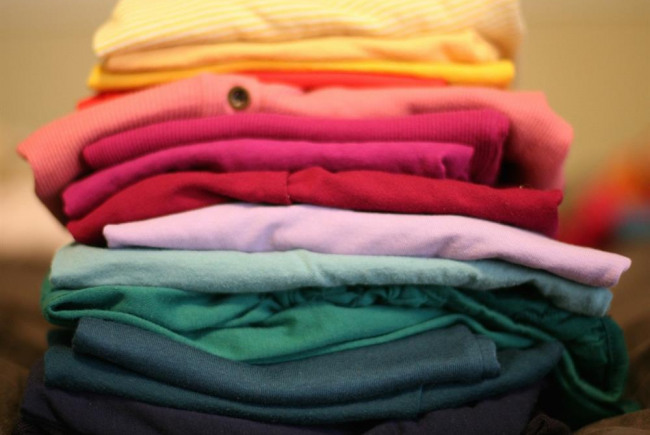 Of our discarded clothes, what doesn't end up in landfills, often gets donated to charities. But charities often sell a majority of its donations to the overseas market and their prices are simply too expensive to most of societies poorest. Charity shops, contrary to some popular beliefs, exist to make the most profit for the charity, not to provide clothes for the poorest. 5-10 years ago we didn't even conceive of the need for Food Banks in the UK, but today they provide a vital lifeline to many in need. As well as lack of access to food, clothing poverty is unfortunately also prevalent. With 3.9 million children alone living in poverty in the UK, that's 28%, we want to act now to challenge inequality through solidarity and support. Clothes are a vital resource that is often less accessible for various groups of people in our community. For example; Those on benefits or low incomes, street homeless people, children in low income families, single parents and migrants/refugees with "No Recourse to Public Funds" (enforced destitution) and many others besides. We need clothes not just as a day to day need, as physical separation from the elements, as a means to keep our bodies healthy and protected but also for specific incidences such as job interviews, schooling, sports activities and work commitments. Although we may be able overlook the value in clothing sometimes, those without access to it can see, and feel, its importance all too clearly. The provision of a Clothes Bank is our primary aim, however we are (if funding and capacity allows) also very interested in simultaneously providing a community cafe and sewing/tailoring/up-cycling group located within the same space. Project Delivery Manager: The Clothes Bank The Project Delivery Manager takes legal responsibility for receiving and spending the funds raised and ensuring the project is delivered.